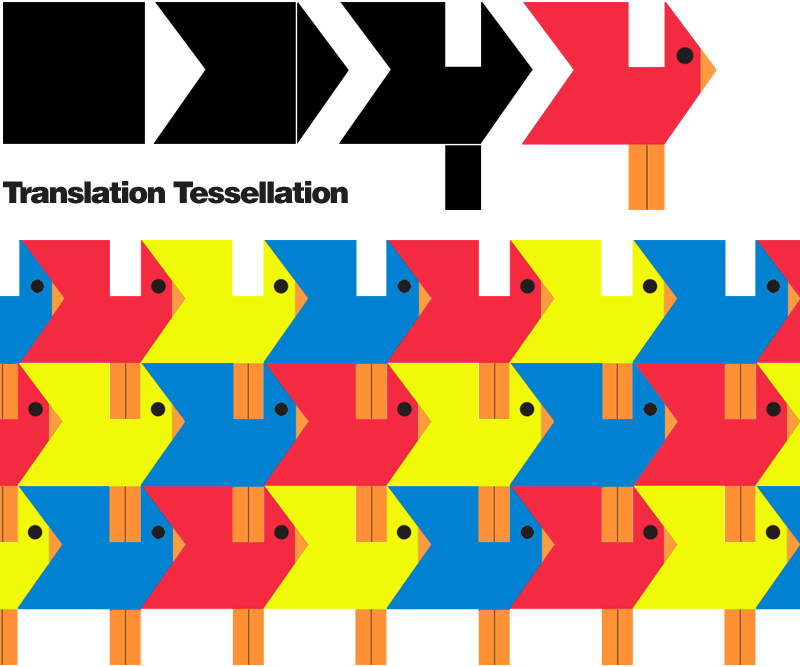 A super simple tessellation for young students: translation tessellation! Kids are given a square. They cut a piece off of the left and tape or glue it on to the right. Next, they cut a piece off of the top and add it to the bottom (see image below). Then, they use their imagination and create a creature out of their irregular polygon. Once their creature is made they trace it, learning about the transformation: translation (slide)! Their pattern piece should fit perfectly (interlocking) creating a pattern with no overlaps or gaps! They can create an AB or ABC pattern with the colors they use! You can also talk about parallel lines. Their tessellation pattern runs in horizontal parallel lines!